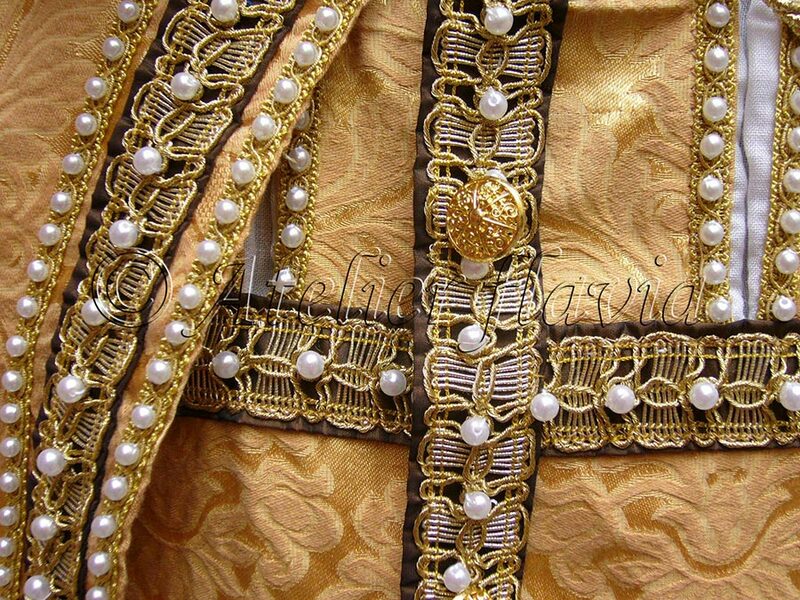 Jacket: cotton and silk damask, polyester satin, polyester and cotton canvas, lurex passementerie, plastic pearls, plastic buttons, polyamide lace, polyester satin lining. 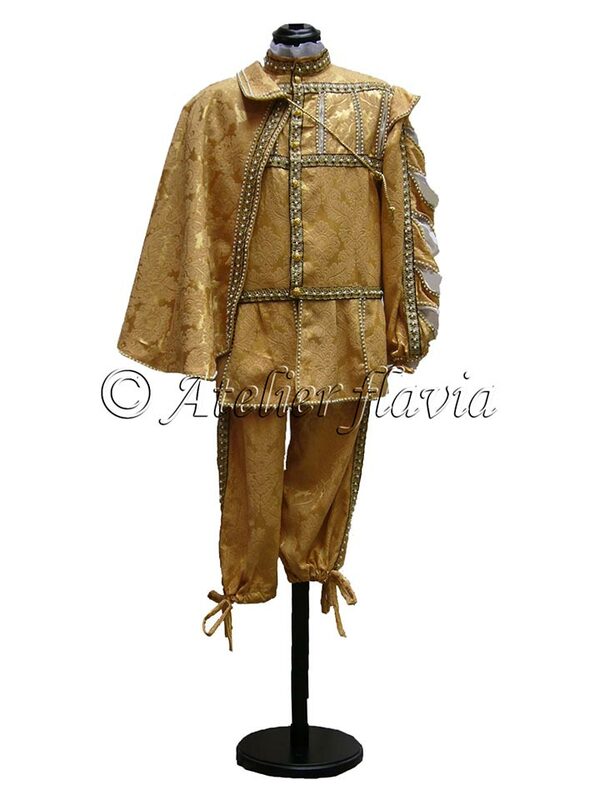 Trousers: cotton and silk damask, polyester satin, lurex passementerie, plastic pearls. 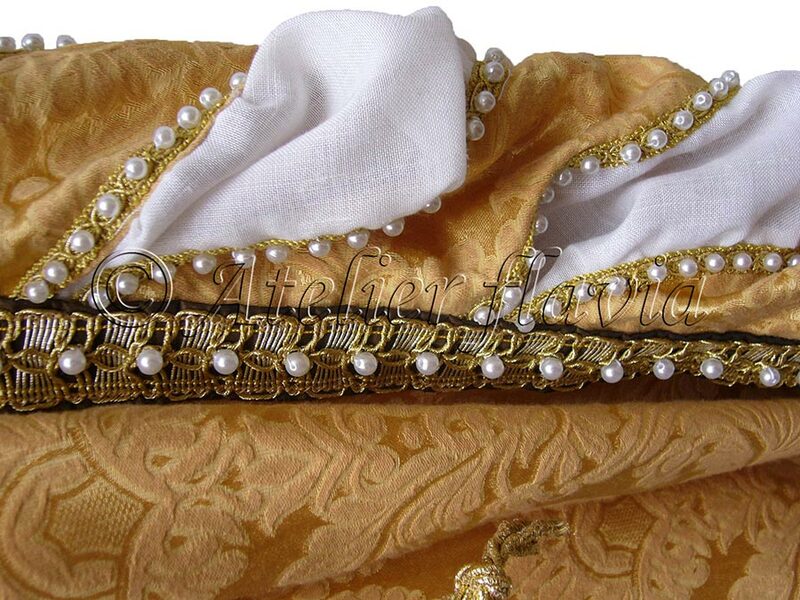 Cape: cotton and silk damask, polyester satin, lurex passementerie, plastic pearls, polyester satin lining. Hat: cotton and silk damask, lurex passementerie, lurex applications, plastic pearls, peacock feather, polyester satin lining.